The BCN, the Birmingham Canal Navigation, is a network of canals in the Midlands of the UK. These canals were the arteries of the Industrial Revolution, the autobahns of the 18th and 19th century. The BCN stands for coal, iron, and limestone, for the transition from rural England to an industrial powerhouse, from the early beginnings to the end of the canal era to today. Going back a few hundred years ? goods transport was a bit of a problem. Horse and cart meant a very limited transport capacity, and the quality of the ?roads? depended very much on the weather. If a river, or any other natural waterway existed, boats allowed much larger transport volumes, but water levels depended on the weather as well. In case of the Midlands, there was coal, iron, and limestone, but no river. A canal was an ingenious solution. A relatively constant water level, no current, and it could be built where it was needed, very much like a modern road. Canals boats offered, compared to horse and cart, enormous transport capacities at low cost. There was coal in the Birmingham/Wolverhampton area, and there was iron ore, there was limestone, all were heavy, so they were used locally. With canals, raw materials could be transported in vast quantities, and finished products could be transported as well. The industrial revolution, only possible because of the transport capacity of the canals, meant the birth and rapid growth of a vast industrial area. It meant more and more canals, to link new suburbs, new factories, new collieries together,? to link that industrial hub to the rest of the country, and, via the existing harbours, to the world. The early canals followed the contours of the land. Built by workers using pick, shovel, and wheelbarrows,? they were, at the time, ?as high-tech as a 200mph railway is today. Canal technology and engineering rapidly evolved, later canals did not follow the contours of the land, they re-shaped the land for the canals by using embankments, cuttings, ?aqueducts and tunnels to make the journeys shorter, quicker, and cheaper. The historic maps of the Birmingham Canal Navigation look like the roadmap of a modern, major city. Canals everywhere, going up and down the hills, meeting at junctions, with ?parking areas? and ?motorway interchange? type junctions. With canals from the earliest and the later days of the canal age, meeting each other and crossing each other. Today a factory has a car park, and ramps for the loading and unloading of goods from trucks or railway wagons ? in the canal age it was a? canal basin. 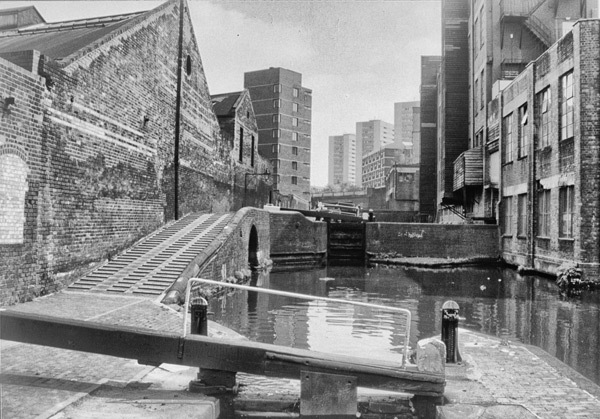 The history of the canal basins reflects the industrial history of the heart of England. 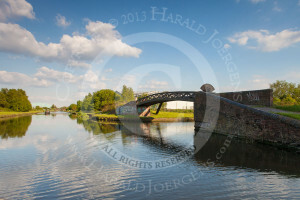 The British canal network has become more and more popular, and the canals are a wonderful place to be. The industrial past can be almost forgotten ? open countryside, rolling hills, and stunning views instead of iron works and ?black satanic mills?. The Birmingham Canal Network has open countryside, rolling hills, and stunning views as well, but it also has inner city canals. 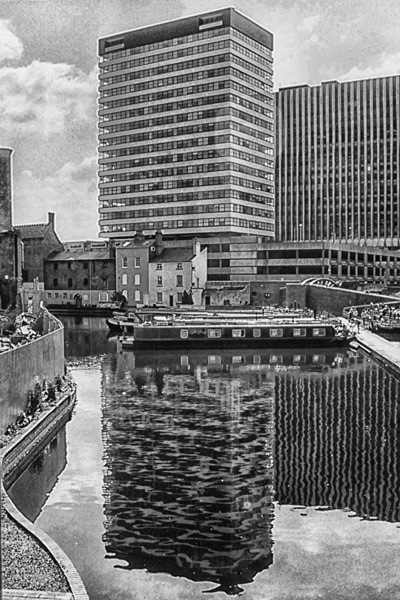 These have improved beyond recognition, the canals now being a cherished part of the cityscape. But this large network of canals is not as much used as the popular ?canal rings?, and perhaps a bit off the public radar. The BCN Challenge, an annual event organized by the BCNS, the Birmingham Canal Navigation Society, ?not only draws public attention to the BCN, it takes boaters, many perhaps for the first time, into this under-used part of the network. The ?black satanic mills? have long gone, the urban parts of the network have seen great improvements.